This week has been a little different. We started out going to Araçatuba because for the first time in over a decade there was a worldwide missionary training broadcast from salt lake!!! It was super good, but it was about super top secret missionary stuff you guys can't know about. Just kidding. There were a couple speakers from the quorom of the 12, and some others from the missionary leadership of the church. It was about helping people become converted to the church and then baptizing them, which is important cause otherwise people just fall away which is sad. This week we had 2 baptisms. We had one set in stone, but we set a goal for 2 and really pushed and at the end of the week it all turned out great. The first was Alana, who we met 2 weeks ago through a member, and the other was Maria. Maria's baptism was kind of cool cause she was taught by Elder Lisot (another elder in the mission) on the very first day of his mission, the first lesson actually, and we baptized her on the very last day before he went home. It's kind of poetic. I hope you guys all cried as much as i did when heard it. Not really though haha. But it just shows that all things happen in the Lord's time. This week was also transfers. 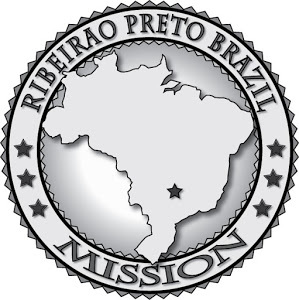 I'm still here in três Lagoas, and elder Aguirra went to Ribeirão Preto, so now i'm companions with Elder Vasconcelos, who was in Andradina, and we will have 2 more missionaries here in Três Lagoas. The work is about to take off for real. We were struggling a bit before because all our investigators live spread out in the city, but now we just have half a city to deal with, which is much better.